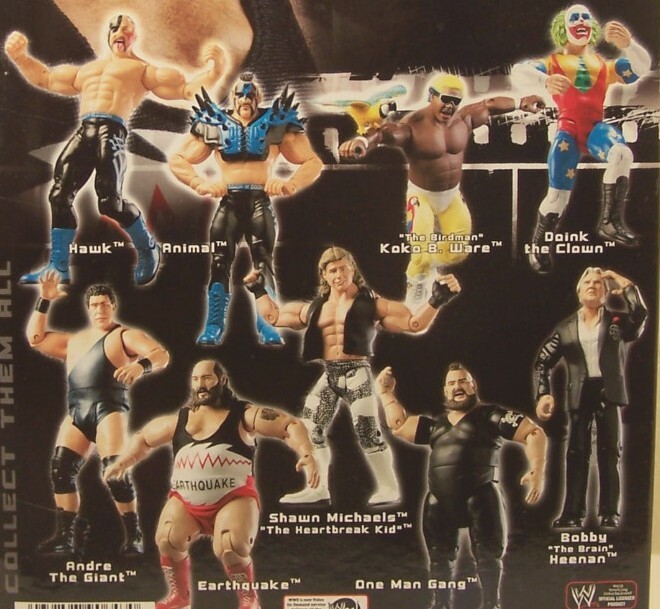 Classic Superstars (2004-2009) was a line developed by Jakks Pacific encompassing hundreds of figures celebrating WWE's past (and sometimes present). 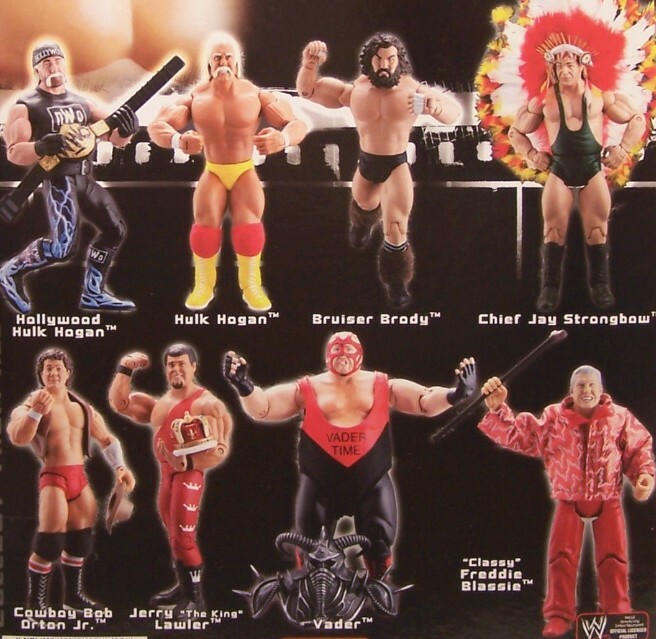 6.75" scale figures ranged from Hulk Hogan to the Brooklyn Brawler, Bret Hart, to John Cena. 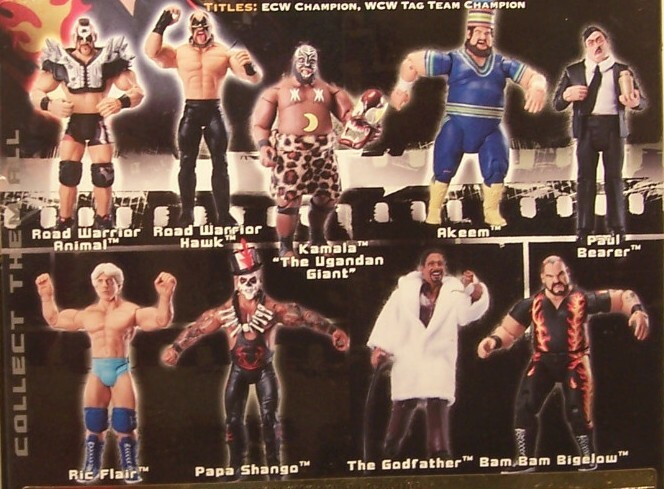 Figures were in the Ruthless Aggression body style that had already been in use by Jakks as their primary figure body style. The line was announced in December 2003 with shocking news when Jakks Pacific stepped out of their usual boundaries and signed Legends not employed by WWE. Even more surprising, Jakks Pacific signed The Ultimate Warrior and Bret Hart right out of the gate. Both were notoriously outspoken about their relationship with WWE, and in the case of Bret Hart, did not mend fences with WWE until 2005. Series 1 debuted at retail in January 2004 at a suggested retail price at $10.99, while their current era counter parts were still around $6.99-7.99, depending on store. The line continued until December 2009 when they released a "Best of" series, including re-releases of Series 1 and Series 6 with only minor carding and production differences. Some Toys R Us continued selling their Jakks Classic Superstars Inventory well into the first quarter of 2010, months into Mattel's WWE licensing agreement. 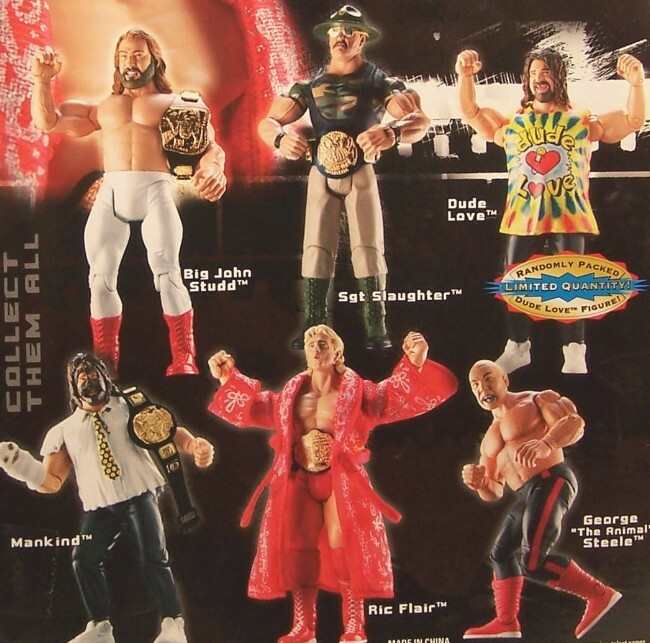 Unfortunately, many WWE Legends and Superstars had signed Legends contracts with Jakks Pacific for figures in their likeness to be made that never came to fruition. Names like The Headbangers, Pat Patterson, D'lo Brown had all been announced but were cancelled due to the end of the Jakks-WWE partnership. Includes: Sgt. Slaughter, Big John Studd, Ric Flair, Dude Love, Mankind, and George the Animal Steele. 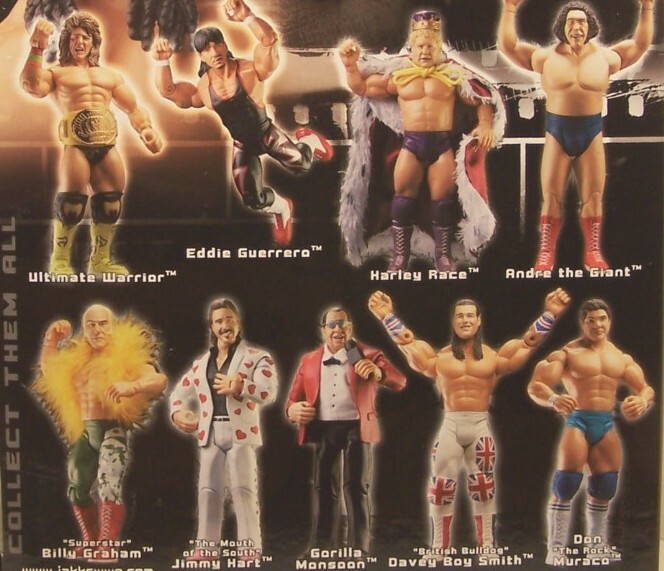 Includes Evil Doink, Adam Bomb, Howard Finkel, The Rock, Tatanka, Nikita Koloff, Kevin Sullivan, Cactus Jack, Mankind (LJN), and Eddie Guerrero. Guerrero was scheduled to be released as Black Mask was changed to no mask with the attire, likely do to contractual reasons. 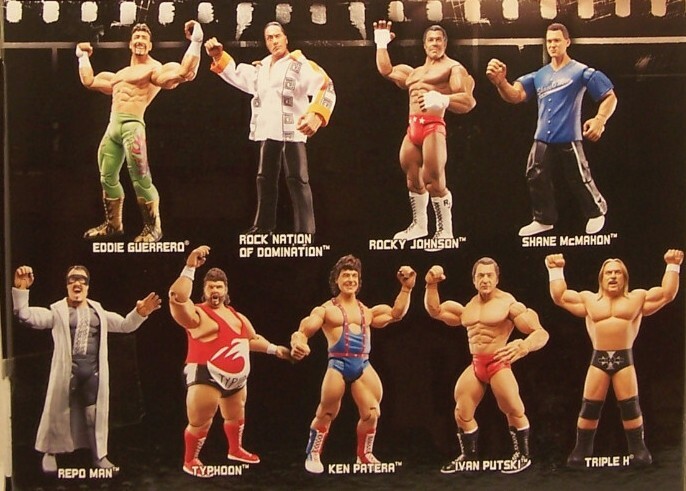 Series 20 included Dynamite Kid, Rey Mysterio, Ric Flair, Ron Simmons, The Rock, Tony Atlas, and LJN Version of John Cena. Bob Holly, Andy Kaufman, Eddie Guerrero(LJN), Chainsaw Charlie, Earthquake, Matt Hardy, Vince McMahon, Stone Cold Steve Austin. 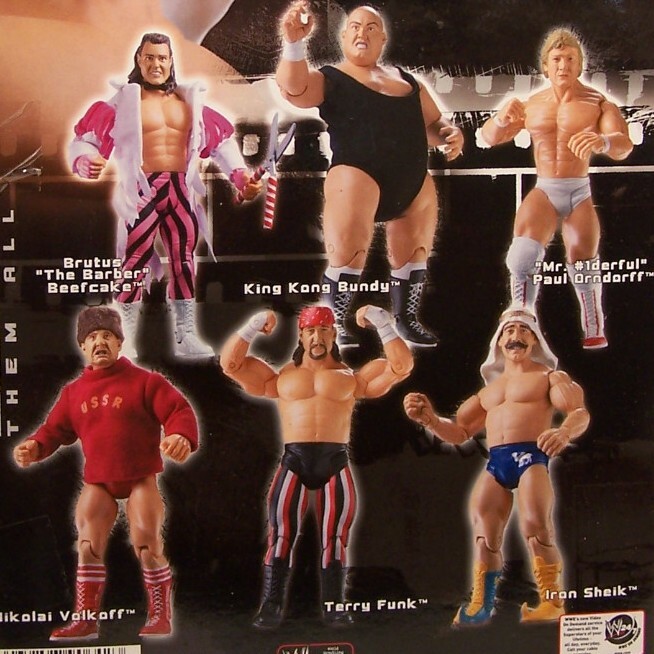 Includes: Sensational Sherri, The Barbarian, The Warlord, Big Show, Sgt. Slaughter, Kona Crush, Evil Doink The Clown, Goldberg, Steve Blackman. Sherri was cancelled and released as an online exclusive to Ringside Collectables. Arnold Skaaland was shown in prototype pictures with the rest of series 27, but was cancelled before release.